Troubleshooting problems is the bane of any network or UC team, as they typically struggle with a number of unknowns in their environment while trying to achieve resolution and user satisfaction in a very short amount of time. Recognizing what stage of the troubleshooting activity you’re in allows for better coordination and understanding of the troubleshooting process from a technical and managerial standpoint. 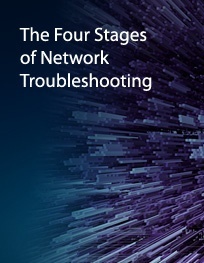 This white paper provides a tutorial on the four stages of troubleshooting: awareness, consideration, identification, and resolution. Fill out this form to learn how to optimize the troubleshooting process to make it faster and easier.